If you're trying to decide which investments to choose for your Individual Retirement Account, there are a couple of strong starting points from which to begin. First, choose investments that have a history of reasonable returns at a reasonable cost. Second, make sure your investments are diverse enough to weather Wall Street's ups and downs. Yes, making a well-informed choice can be tough, especially with the thousands of mutual funds and exchange-traded funds to choose from. Last month, our experts picked a number of target date funds as a one-stop shop of sorts to cover your exposure to the entire market. These funds include a mix of stocks, bonds and cash, and rebalance as you grow closer to retirement. This month, among other choices, we look at a couple of Vanguard stock funds, one that invests exclusively in U.S. companies and another in international markets. Remember, these funds include no bonds or cash, so they may be more volatile than a fund with mixed investments. 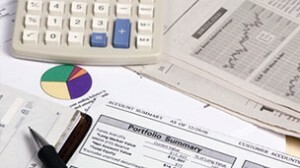 Money managers we spoke to recommend these investments for Individual Retirement Accounts. For example, John Pollock, a certified financial planner in Allen, Texas, recommends the Vanguard Total Stock Market (VTI). Pollock says this mix of 3,600 stocks is a great place to start investing because it offers highly diversified exposure to the entire U.S. stock market. Its holdings include big names like Apple, Exxon Mobil and General Electric along with mid-cap and small-cap stocks. "It offers great diversification and gives you exposure to just about every stock in the country," Pollock says. "So if a few stocks plummet, it's only a few of thousands." Because it tracks the U.S. market, the fund saw a big downfall in 2008, but it has seen a 26.72% return in the past year and a 16.27% annualized return over the past five years. A hypothetical investment of $10,000 in September 2003 would be worth about $22,000 today. Fees are also very low at 0.05% compared with an average expense of 1.09% in similar funds. If you'd like to pair that with some international investments, Pollock points to the Vanguard Total International Stock Index Fund (VGTSX). It has an expense ratio of only 0.22% and has produced annualized returns of 8.08% over the past 10 years. You could split money among both of these funds and have a great, diverse mix of equities. Of course, you'll want to balance the risk of these equity funds with a bond fund. Pollock recommends RBB Free Market Fixed Income (FMFIX). It holds short- and intermediate-term domestic and international government bonds. It has seen a -1.00% return in the past year and a 5-year average return of 2.36%. Expenses are a modest 0.63%. Remember, bonds rarely perform as well as equities, and they've seen a couple of rough years, but their mission is to provide stability when stocks are having a rough ride. If you're looking for a single-fund option to cover both the domestic and international equity markets, consider the Vanguard Star Fund (VGSTX), says Chris Currin, president of Pegasus Advisors LLC in Dallas. VGSTX is a balanced fund that holds a mix of 60% in stocks and 40% in bonds. Of the equities portion, roughly 40% of those stocks are in U.S. companies and 20% in international companies. Currin says it makes a great starting point for a single-fund portfolio. Another of our experts recommended this fund last month. "It gives you both fixed income and equity investments in the U.S. and international exposure as well," Currin says. "You can get a globally diversified balanced portfolio with excellent performance." Over the past five years, the fund has produced annualized returns of 12.91%. Annualized returns are 7.45% over the past 10 years. It also features relatively low expenses of 0.34%. Currin says it has delivered the performance of more sophisticated investments for a fraction of the price in fees. As a fund composed of other funds, VGSTX holds 11 separate Vanguard funds covering all the major bases of the global stock market. A hypothetical investment of $10,000 in this fund in September 2003 would be worth about $20,600 today. This isn't a guarantee of how much your investment will earn going forward. But in the absence of other criteria, looking at how a fund has performed gives you a way to compare it against other funds and the market as a whole. And when looking at past performance, you'll want to consider 10-year annualized returns as well. Because the stock market was near a 10-year low in 2008, pretty much any investment is going to look spectacular over the past five years.